David Ham was born 04 November 1830 at Lansell, Cornwall, England. He died in 1908 at Queenscliff aged 77. Ham was a politician. He presented the marble lions at the entrance to the Ballarat Botanical Gardens. DEATH OF A VICTORIAN PIONEER. - Mr. David Ham, of Ballarat, a very early pioneer, died to-day at Queenscliffe from pneumonia, the result of a chill caught while bathing. Mr. Ham was born in Lansells, Cornwall, and was in his 78th year. 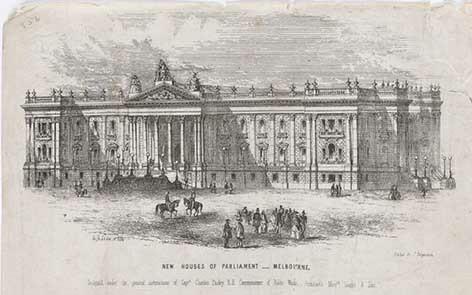 He arrived in Victoria in 1849. He was elected a member of the Legislative Council in 1886, and he held the seat until the reduction of members, when he retired. DEATH OF MR. D. HAM. - Mr. David Ham, exM.L.C, died at Queenscliff to-day from pneumonia. 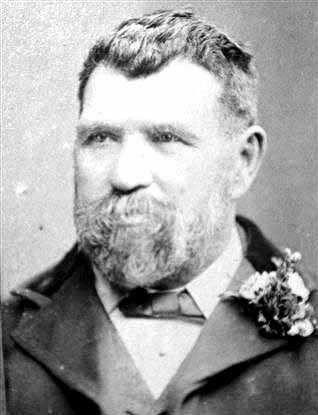 Deceased, who leaves a widow and large grown-up family, was interested in mining and other companies, and represented tho Wellington province in the Legislative Council for 18 years. DEATH OF MR. D. HAM, - A PIONEER'S CAREER. QUEENSCLIFF, Friday-A leading colonist and old pioneer Mr David Ham, of Ballarat, died this morning at the residence of his son in law, Mr A S Baillieu, "Lathamstowe"' Queenscliff, from acute pneumonia. The remains were taken to Ballarat by this evenings train, and the funeral will take place on Sunday. BALLARAT. Friday. - Great surprise and regret were ecpressed on Friday when it became known that Mr David Ham had died during the morning at Queenscliff, where he bad been spending his holidays. Born at Lansells, England, on November 4, 1830, Mr Ham arrived in Victoria in his 19th year, and found employment in a grocer's shop at Geelong in July, 1849. In the early digging days he proceeded to Ballarat, but returned to Geelong. After various moves he settled down in Ballarat and soon had success in alluvial mining, one of his first claims giving him and his mates good returns. At Canadian he and his comrade (William Waters) found a nugget of fair size. About 1854 he started a butcher's shop and store near the spot where the Orphanage now is. Selling out of this business, he subsequently was a sawmiller at Carngham, and an agent and sharebroker at Smythesdale. Later he came into Ballarat and at the time of his death was a member of the Stock Exchange and a director of various mining companies, including the Jubilee, at Scarsdale. In 1886 he gained a seat in the Legislative Council and retained it until the reduction of members when he and Mr Edward Morey were rejected at the polls. Upon the death of Sir Henry Cuthbert both unsuccessfully sought re-election and since then both have died within a comparatively short time. During his term in Parliament. Mr Ham did good work on the Forests Commission. He travelled all over Victoria and was very emphatic in urging that our timber supplies should be properly protected. He took a close interest in various loca institutions. :Mr Ham was a liberal giver to charitable causes and for years had been a prominent Methodist churchman. But a few months ago he celebrated his golden wedding, both he and his wife then being, in good health. Mr Ham's decease supervened upon an attack of acute pneumonia contracted at Queenscliff on Monday last. ↑ Adelaide Advertiser, 4 January 1908. ↑ Hobart Mercury, 4 January 1908. ↑ The Argus, 04 January 1908. ↑ Sydney Sunday Times, 19 January 1908.